Born of an artistic spirit and a bold objective, Six Hundred West Main is a design-driven urban oasis that is both distinctly modern and quintessentially West Main. 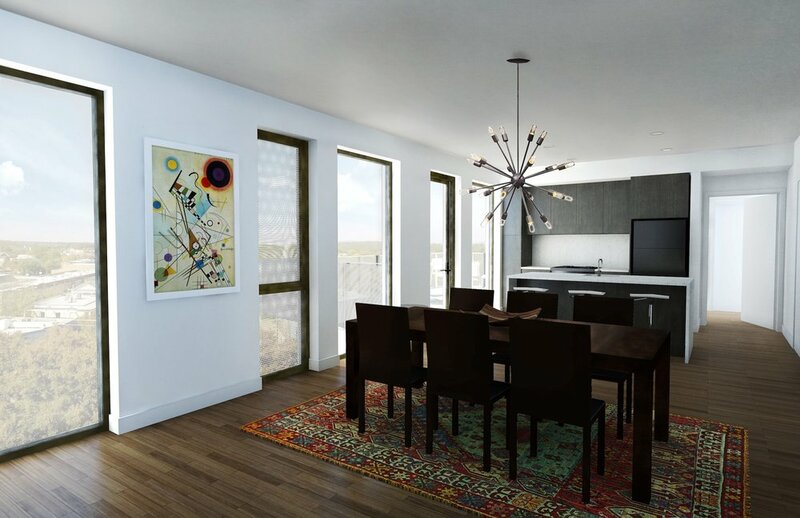 Marrying new construction with historical buildings, and inspired by the vibrant and diverse community that surrounds us, our rental residences bridge the gap between familiarity and innovation, delivering art-driven and forward-thinking design that feels like home. Located at the cross-section of Charlottesville's two largest dining neighborhoods, residents of Six Hundred West Main are just a short walk from some of the area's best restaurants and bars. With the Blue Moon Diner right downstairs, and markets, upscale cocktail bars, and bakeries lining West Main Street, great food is always just across the street. Charlottesville is full of beautiful scenery and renowned historical landmarks, including the University of Virginia and Thomas Jefferson's Monticello. With secure parking and easy access to the city's main thoroughfares, residents can easily enjoy the best of town and country, including the Blue Ridge Parkway, picturesque vineyards, breweries, and state parks. Night life, street life, shop life: it all intersects at Six Hundred West Main. In a short walk you can stroll the local farmers market, catch a concert at the historic Paramount Theater, hit the gym, or wander through the shops on the Downtown Mall. In this vibrant, enigmatic, and artistically charged neighborhood, residents will never be short of things to do.